15th/16th c, elm or cypress, Shanxi. 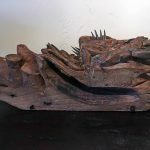 This magnificently deep carved dragon was torn from a temple structure, as can be seen by the plain flat back with old iron nails. In temples, dragon-figures signify as protectors of the Dharma ( Buddha’s teaching). 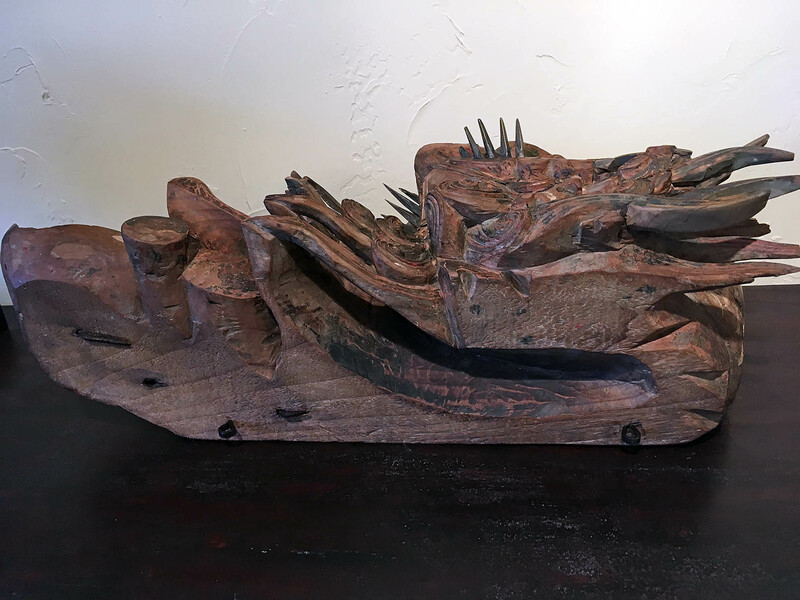 Like most temple furniture, decorative items and religious figures, this carved dragon was painted with at least five layers of natural mineral colors and gilded. Much of the colors remain. The dragon looks very fierce as befitting a protector of a sacred site. 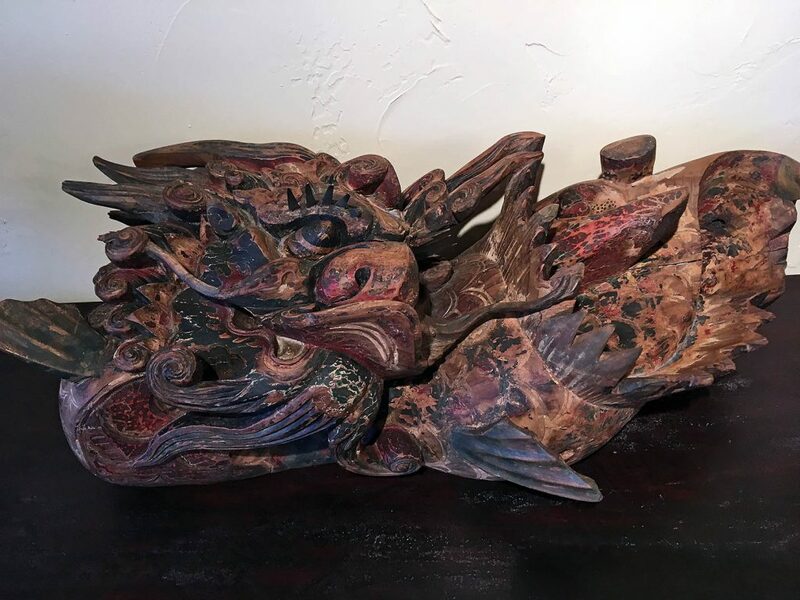 All antique temple dragons are rare and valuable as not many can be found today. This one would look magnificent over a doorway as protector of the premise.